Ben Roethlisberger is an American professional football player who was born on March 2, 1982. The Bachelorette and WWE Monday Night Raw account for some of Ben Roethlisberger's recent TV credits. Ben Roethlisberger's recent filmography includes the movies NFL Super Bowl XL Champions - Pittsburgh Steelers (2006) and The PovertyNeck Hillbillies: Mr. Right Now: Making the Video (2006). As of 2018, Ben Roethlisberger has contributed to about 2 TV shows. Some of the most recent Ben Roethlisberger TV appearances include The Bachelorette and WWE Monday Night Raw. 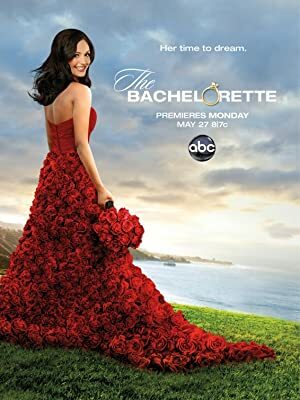 Ben Roethlisberger appeared on The Bachelorette in 2016. In 2009, he was a guest on WWE Monday Night Raw. As of 2018, Ben Roethlisberger has appeared in about 2 movies. Some of the most recent Ben Roethlisberger movies include NFL Super Bowl XL Champions - Pittsburgh Steelers and The PovertyNeck Hillbillies: Mr. Right Now: Making the Video. NFL Super Bowl XL Champions - Pittsburgh Steelers was released in 2006. The PovertyNeck Hillbillies: Mr. Right Now: Making the Video was also released in 2006.